We feel the school is doing a fantastic job at the moment. Lots of great opportunities for both children. Thank you. Helpful, genuinely caring teachers and LSAs who work incredibly hard. What more could we ask for? Home/school communication remains excellent. It was great to participate in the classroom activity during the Three-in-one morning. 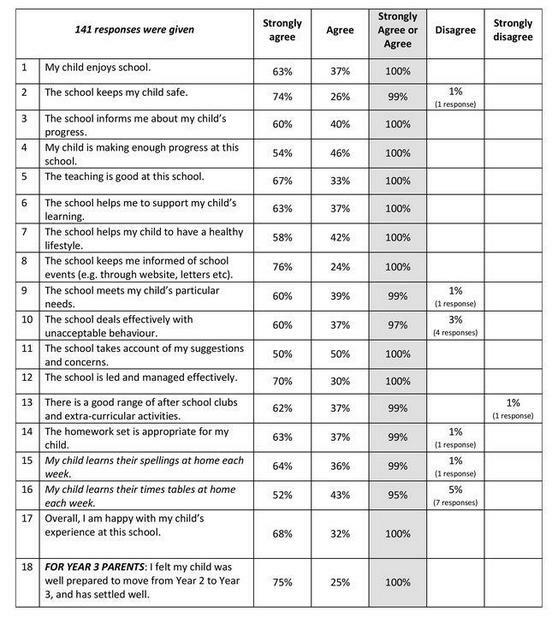 Could we have further opportunities for parents to join in with lessons please? I cannot fault this school. Keep up the good work! I am very pleased with the school and feel the teaching standard is supportive and pro-active. You are doing extremely well so please keep going like this and keep & share the update with us. Really enjoying my child learning in school. I think the school is managed brilliantly. I’m very happy with my child’s education. He has come leaps and bounds since joining Kings Furlong. Thank you so much. My child, while eager to get to secondary school, enjoys every day at KFJS. Thank you for making it such an outstanding school. With regard to homework we feel this is more appropriately set this year. Excellent school and staff. My daughter thoroughly enjoys being here. Big thanks to the teachers. My child has had a fantastic start to the new year/class. He is really enjoying all aspects of his learning. We are very happy with his progress. One thing I would like to see…. More parent assemblies in the afternoon evening. The school explaining to younger children the dangers of smoking and drug taking. To be informed of the main topics of study (i.e. space and planets) in advance. Record assemblies/music performances etc that working parents cannot attend. These could then be posted on the website. Explanations of what the grouping represents in her spellings. A few more spaces for after school clubs.